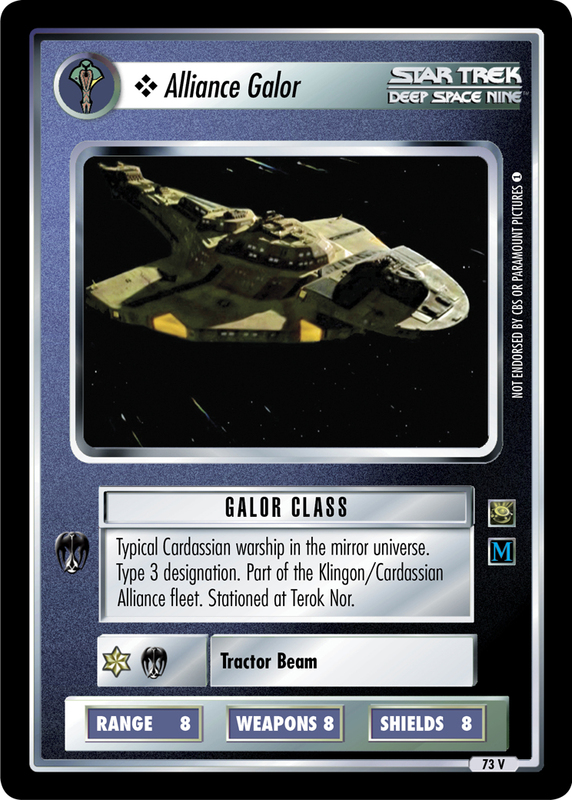 Typical Cardassian warship in the mirror universe. Type 3 designation. Part of the Klingon/Cardassian Alliance fleet. Stationed at Terok Nor.